Concerns about Microwave Radiation / WiFi Radiation / EMFs (electromagnetic fields), call it what you will is not new. As such, there is a great deal of information about many aspects of this very broad topic. One of the points he made which is important as it is a keystone of many arguments put out by the Establishment is the difference between thermal and non-thermal radiation. Official studies and statistics frequently measure thermal values - in other words the amount a body heats up when using a device. This is not a valid measure because a body only heats up in ionising radiation, and microwave radiation (ie mobile phones, tablets, WiFi and smart devices etc) is non-ionising, and non-thermal. So when you do your own research - and I urge you to do this - please ensure that the facts and figures you are looking act refer to non-thermal, non-ionising radiation. He pointed out, quite rightly, the question of insurance cover and EMFs. In the cases where a mobile mast is erected on a building - a church steeple, a school, a sports hall - it is the owner of the building who would be liable for any insurance claims for sickness due to the emissions of the mast, rather than the telecoms companies who actually own them. 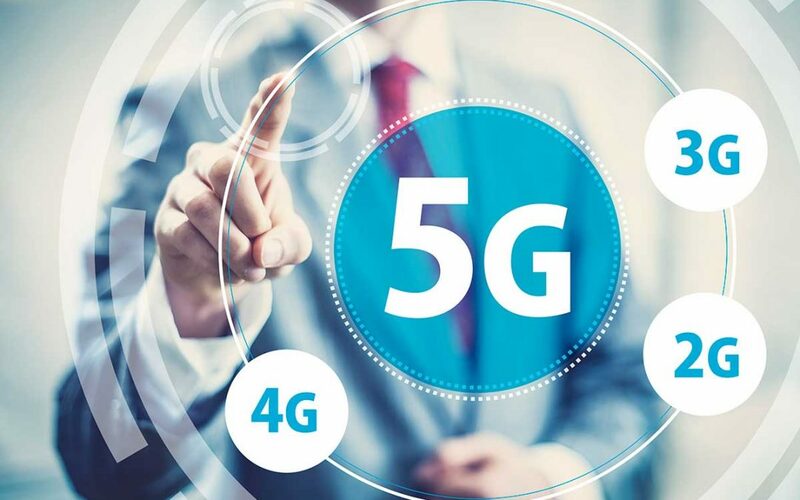 5G: This is a big, important topic in its own right but in brief, 5G stands for 5th generation (following on from 3G and 4G). It is 10 times faster than 4G, which makes it very good for moving huge amounts of data at very high speed (financial transactions, downloading movies etc). This is the world of the so-called Internet of Things and Virtual Reality as well as driverless cars, smart motorways and so on. It works in the bandwidth 246Hz - 90GHz (varies slightly by location). 5G uses MIMO - Massive Input, Massive Output. Far more ports or transmitters are needed for this huge amount of data: where 4G towers had 12 ports, 5G towers have 100 ports. And, along the route, lots of mini base stations are needed, boosters if you will, to help all this data on its way. These need to be placed every few meters - this is why you are hearing talk of a cell or transmitter on every lamp-post. The signals also need to travel clear of interference, and it is this that has led to accusations that so many perfectly healthy trees in Sheffield (and other places) were chopped down, as the fluttering leaves would get in the way. It is also being said that these same wavelengths have been / are being “weaponised” by certain agencies and governments, with the implication that installation of so many little transmitters will allow for the lamp posts to become transmitters of lethal beams. Do your own research, draw your own conclusions on this. don’t have your mobile phone on your bedside table or under your pillow at night. if you need an alarm clock - go buy one, an old-fashioned one, not a digital one. don’t put your laptop on your lap; don’t rest your tablet or your mobile on your baby bump. With current concerns about the use of palm oil and the consequences on the wildlife, there are a number of campaigns that have been promoted to examine the use of palm oil. So what could we use instead by way of alternatives to such a valuable ingredient from foods to the cosmetics and skincare industries? It is important here to mention the difference between Palm oil and Palm kernel oil. 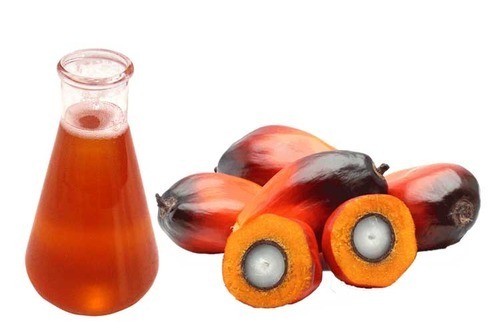 Both come from the palm oil tree, palm oil is pressed from the fruit and palm kernel oil is extracted from the seed. Both can be used in soap making and offer different qualities in a finished product. Palm kernel oil is used to make a white coloured, harder bar of soap that provides a fluffy, bubbly lather. This oil is in a solid state at room temperature, which contributes to the hardness of a soap bar. Two good choices for alternatives are coconut oil and babassu oil. Palm kernel oil is actually chemically more similar to coconut oil than palm oil, which is probably why many soap manufacturers use bo th ingredients as both give different properties. Babassu oil on the other hand is a vegetable oil extracted from the seeds of the babassu palm and is indigenous to Brazil. Palm oil is used to create a hard soap bar with a stable lather, and is often used to make something more long-lasting and resistant to melting. Using palm oil in soap will provide a moderate amount of cleansing and conditioning properties. This oil is solid only at cooler temperatures, and is sometimes used as a formula stabiliser in cosmetics. Palm oil is also used in candle making and a key ingredient in soap making because of its excellent lathering and hardening properties. However, in recent years palm oil has gained a bad reputation due to its questionable sustainability. Some say there is no ‘perfect’ alternative to Palm oil in soap making because of its exceptional results but as always, it is down to product development and personal preferences. When searching for a replacement, we need to take these properties in to account as well as cost and of course, sustainability. This is a vegetable fat which has a fantastic chocolate-y aroma. It is extracted from the cocoa bean and is also very popular in cooking as well as soap making. All the following factors mean it is a close second to palm oil in soap making. Stable even levels of palmitic, stearic & oleic acids- gives hardness, a creamy lather & good conditioning. The traditional roots were such that before palm oil, fatty oils such as beef tallow (fat from rendered beef) or lard were used, mainly due to their large availability being an animal by-product. Most historic soap recipes would usually call for tallow or lard because of their properties, which are listed below. This may not be a great alternative for everybody, because vegan products are now also talking over in popularity from animal products. The palm oil supply chain, from the tropics to its use as an ingredient in retail products all over the world, is complex. It can be hard to know exactly where the palm oil in the final product has come from. 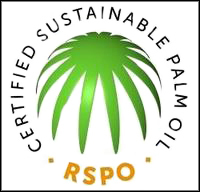 To ensure the credibility of the sustainability claim at the end of the supply chain, all organisations that take legal ownership and physically handle RSPO certified sustainable oil palm products need to be supply chain certified. Transparency and credibility are assured through RSPO Supply Chain Certification and RSPO Principles and Criteria Certification. It is also worth noting, as this is a ‘hot’ topic at the moment, that as humans in general we are using the earth’s resources to the point of destruction, if it’s not Palm oil plantations, then it’s soya or Shea. By boycotting one product, this will naturally put more pressure to produce larger amounts of another, so we should really be looking at how we can use highly renewable and sustainable products as we move into the future and start caring for our planet so the next generation (humans and animals alike) will still have a home. Childhood eczema, also known as atopic eczema, is a common condition that causes redness and soreness of the skin. Treatments include using moisturisers (emollients), which have been shown to work, and using emollients as soap substitutes in the bath or shower. 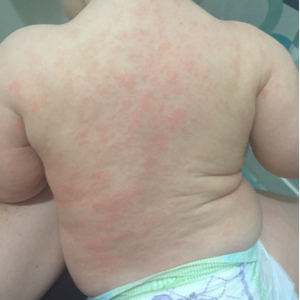 difference to children's eczema symptoms. The study, carried out in England and Wales, involved 483 children aged 1 to 11 years. Half were randomly assigned to use bath additives regularly for a year – in addition to their usual treatments, including standard leave-on emollients – while the other half did not use them. The results showed that bath additives made too small a difference to symptoms to be considered clinically important. carried out by researchers from Cardiff University, the University of Bristol, the University of Southampton and the University of Nottingham. (https://www.bmj.com/content/361/bmj.k1332). The UK media reports were generally accurate and balanced. This was a randomised controlled trial, which is often the best way to investigate whether a treatment works. To make results more accurate, many trials like this use a dummy treatment (placebo) so that patients don't know if they are receiving the real treatment. However, in this case, the researchers decided they could not make a convincing placebo for emollient bath additives so did not include one in the study. Researchers used records from 96 general practices in Wales, south England and west England to identify children diagnosed with eczema. The children's parents or carers were then contacted and invited to take part. After screening, half the children were prescribed bath emollient additives for a year and the other half were asked not to use them. 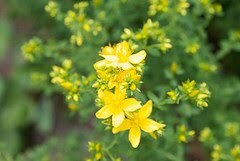 Most of the experimental group were prescribed Oilatum, Balneum or Aveeno bath products. guardians think a child's eczema is. POEM gives a score of 0 to 28, with 0 to 7 being no or mild eczema, 8 to 16 moderate eczema and 17 to 28 severeeczema. A drop of 3 points on the scale is considered enough to represent a clinically meaningful improvement in symptoms. The parents or carers also recorded how often the children bathed and how often they used the bath emollient additives. The researchers compared symptom scores for the 2 groups, adjusting for eczema severity at the start of the study, use of steroid creams and soap substitutes, and ethnic group. The average symptom score at the start of the study was 9.5 in the bath-additives group and 10.1 in the no-bath-additives group, meaning most children had moderate eczema. -2.7 to +1.10). This was not a statistically significant difference and was well below the 3-point difference considered to be clinically important. The researchers also looked at subgroups to see if any particular group of children were more likely to benefit from the bath additives. While they did find some effect for children under 5 years old, it still did not reach the 3-point threshold. They did find a possibly clinically meaningful benefit for children who bathed 5 times or more a week (2.27-point improvement, 95% CI 0.63 to 3.91), but this analysis was based on fewer children, making it less reliable. The researchers said the trial "provides strong evidence that emollient bath additives provide minimal or no additional benefit beyond standard eczema care in the management of eczema in children". The study shows that bath emollient additives may not be a useful part of eczema care for children. But it's important to be clear this does not apply to the use of leave-on emollient creams and lotions, or to the use of emollients instead of soap. There's evidence that leave-on emollient creams work, and doctors agree using emollients instead of soap is helpful. This study's results only apply to emollient products added to the bathwater. If you're not sure of the difference, speak to a pharmacist or your GP. If your child has been prescribed bath emollient additives and is happy with them, there's no reason to stop using them. The study found no increased risk of side effects – such as slipping in the bath, soreness or redness – among children who used them. However, they may not make much difference to your child's eczema, and it's possible the NHS may decide to recommend that doctors stop prescribing these products in future. The study was well conducted but had a few limitations, the main one being that, unusually for research of this type, there was no placebo. Placebos are normally included to control for the placebo effect – where people tend to feel better if they are taking a treatment because they expect it to work. However, in this case, people that did receive the bath additives did not report symptoms significantly different from those not using the additives, which suggests the placebo effect did not have much influence in this study. The study looked at lots of subgroups among the 483 children to see if any showed different results. However, this increases the likelihood that some of the results are due to chance. We therefore cannot put too much stock in the finding that children bathing 5 times or more a week may get some benefit from emollient bath additives, as this analysis included just 143 children. Welcome to Centella Herbal - a blog that has been specifically created to offer information, help and advice to those who seek natural remedies, particularly herbal medicines and a holistic approach to healthcare. It also provides a forum for discussing and debating topical issues within public health. You can share your views, experiences, thoughts or comments, and respond to any of the posts. These posts are also intended to generate genuine debate and discussion on a range of contemporary and topical health issues affecting everyone today.